In a desire to maximize income the developers have created a product with very limited functionality and, given the lack of response to a number of messages, haven't invested in customer service either. The product advertised at the price is not what you receive - buyer beware. UPDATE 14Apr: Thank you for your response. 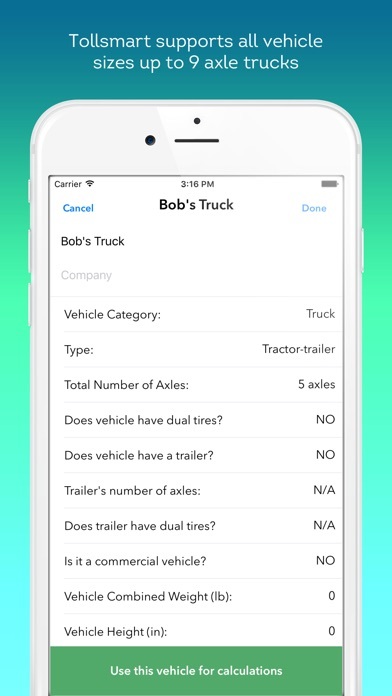 My point, which you have overlooked, is that per my (still unanswered) emails to you, if you have a 2 axle trailer the product does not calculate tolls unless you purchase the commercial version - this was not made clear when I purchased the product. Won’t even expect a valid address. I paid for this app with all its benefits, and then all of a sudden the app is asking for more money to do the same things I paid for! 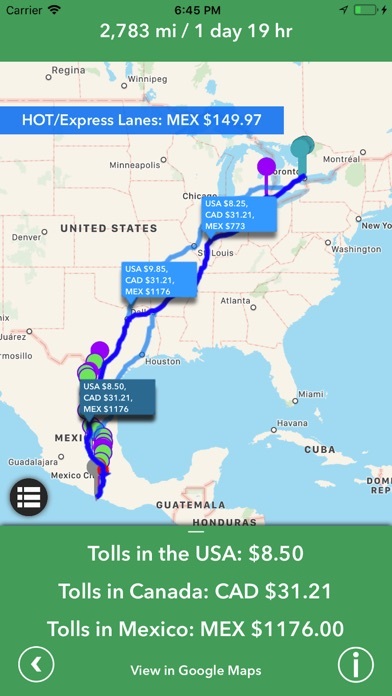 Incredibly useful app shows toll costs alongside driving time and distance and alternate routes with cheaper tolls. My go to app now whenever I drive to NY or anywhere in the Northeast US. 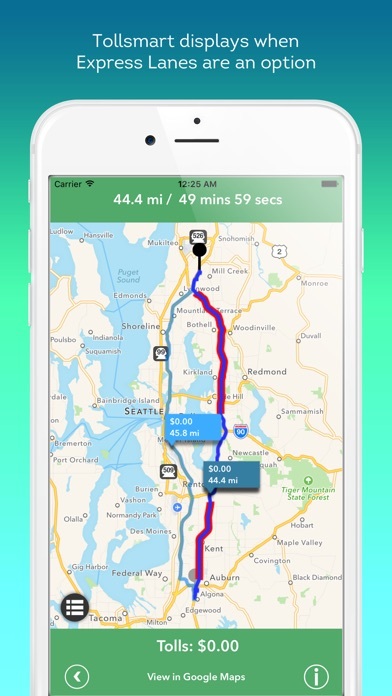 This app does not calculate tolls unless you pay $2.99 for the upgrade-- for alternate routes. It only calculates for the one route it chooses for you. If that route has nontoll and toll options, you cannot get the toll options without the upgrade. Since it's the only thing I wanted I deleted immediately. I don't like being deceived. Missed an entire $15 toll bridge. This app cannot be trusted. 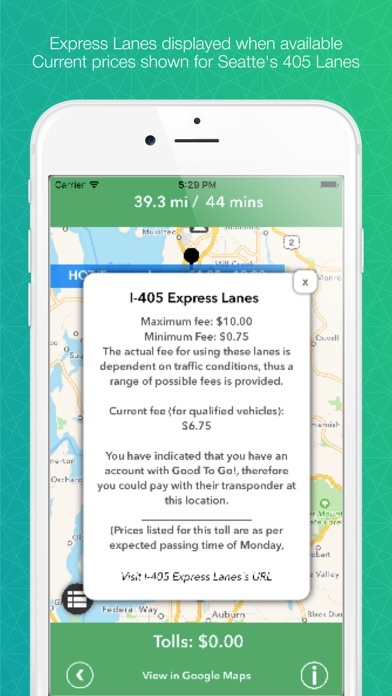 seems to have no idea of how many tolls you have to go through in the NY/NJ area and tells me my route will have $0 tolls even though just 1 of the bridges you have to go through costs $15 (Bayonne Bridge) In other words this app will cost you dearly if you use it. What a joke. I like how the latest update says it’s now free. Sure, the app is free. But you can use it unless you subscribe. Really sneaky company - stay away. I paid 4 dollars for the "set vehicle" option and it only has an option to add a single axle for a trailer. Not helpful at all, and I'll be damned if I'm going to take a chance and hand them another 3 or 4 dollars. App is good. 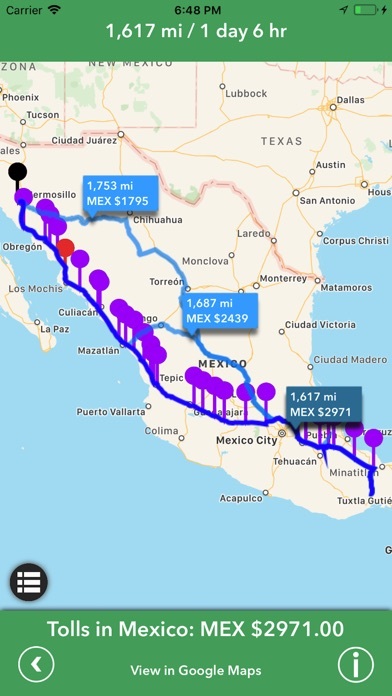 Tells you the toll Locations, where you take a ticket, and the resulting cost.